The best party The Heartbeat of Haverhill attended this summer (and there were a ton of great events) was the last in the series of music and dance nights on the boardwalk of the Merrimack River. It was Country Night at Harbor Place hosted by the Greater Haverhill Chamber of Commerce and the Greater Haverhill Foundation and was coordinated by Jenny Arndt on their behalf. It is not cliched to say there was something for everyone. What made Country Night so special included perfect summer evening weather with a full orange moon that no one can claim to have influenced and the number of activities surrounding the event. New England Music Award Nominee, the Stephanie Jasmine Band (with Erin Murphy-Dunn- Guitar/backing vocals, Robert Murphy- Bass/vocals, John Coviello- Drums, Bill ‘Buck’ Buckley- Lead guitar) provided a powerhouse performance with a mix of country and rock. Between sets there was a line dance instructor who got everyone going. There was food and drink for a $10 donation to Career Resources Corp. They decorated their hearts out simply but effectively, with the amazing result that they converted an outdoor urban downtown setting into a hoe down with a photo place set up with props and a faux barn door, a chance to try milking a pretend cow, hay bales, horseshoes, ring toss and corn hole. And to end the night a stunning laser show by BTE Entertainment projected on fog between the high rise buildings. Just WOW! All the guests came ready to party in cowboy hats, boots, jeans, some long, some mighty short braids and bandanas. THOH shouldn’t be surprised that so much of Haverhill is country. Just beyond its urban landscape, Haverhill has some of the biggest farms in the Essex County and we have our very own Grange (Bradford Grange #238). Coincidentally THOH wrote an article about the Grange for the September issue of Haverhill Life newspaper, and shared a tour of Silsby Farm/Chris’ Farm Stand, a 200 year old farm on Salem Street, with MDAR Commissioner John Lebeaux, State Reps Diana DiZoglio and Andy Vargas. 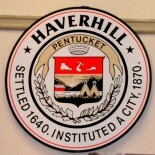 This entry was posted on August 26, 2018 by Brain4Rent/THoH in #thisisHaverhill, Alison Colby-Campbell, Downtown Haverhill MA, Farms, Fundraiser Haverhill, Greater Haverhill Chamber of Commerce, Haverhill MA, Haverhill Merrimack River, Haverhill Parks, Merrimack River Boardwalk Haverhill, Summer bounty, The Heartbat of Haverhill, Uncategorized and tagged BTE Entertainment, Career Resources Corporation, Chris' Farm Stand Haverhill, Country Hoe DOwn in Haverhill, Country Night in Haverhill, Family fun, Greater Haverhill Foundation, Harbor Place Haverhill mA, Jenny Arndt, photography, Silsby Farm Haverhill, Stephanie Jasmine Band.